Registration is still under way to join the theater classroom. For the third consecutive year, she coordinates the Carmen Díaz Abellón project. Actress and playwright algecireña, for nine years director of “La Perseverancia”, the theater group created in the social action of the ONCE in the Campo de Gibraltar. Beginning on November 7, classes for minors and adults begin, and those interested can still register at the Casa de la Cultura. 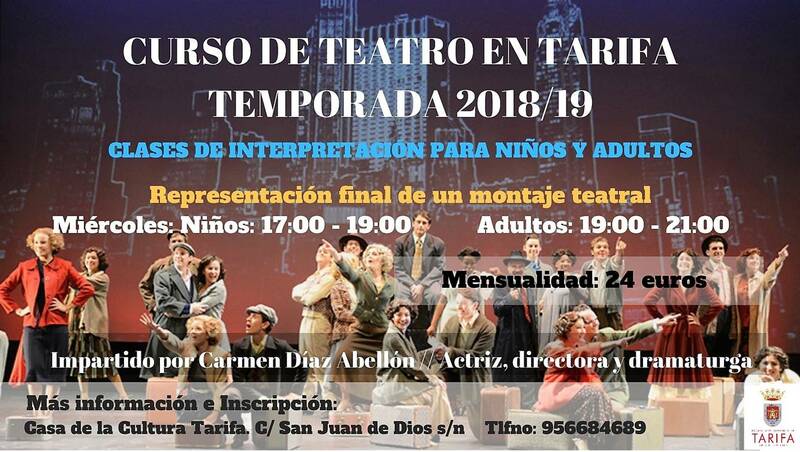 They will be given at the Teatro Alameda, Wednesdays from 5 to 7 in the afternoon for children and from 7 to 9 for adults. The idea is to finish the course with the representation of a theatrical production in the Alameda. But the fundamental thing is to explore and promote the expressive and communicative capacity of each student. More information in the municipal area of Culture.